Window Perf, or Perforated Window Film, is a material that is commonly put on vehicle windows and on store front windows. 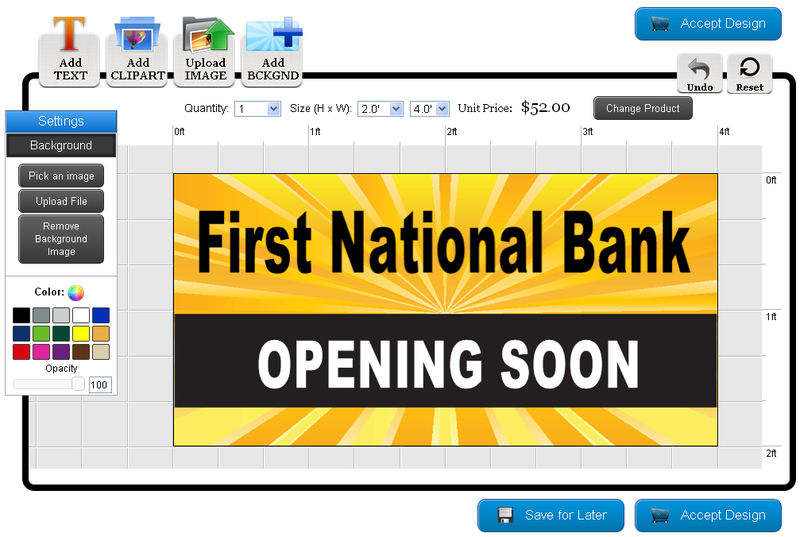 It is a great way to turn windows into advertising space, and you can now design window perf in our online designer! To get started designing online, visit our window perf product page. You can select the spray lamination, which is the standard finish, or you can get the optically clear finish. The optically clear finish covers up the holes in the material to prevent direct and grime from getting into the print. To design your window perf online, you will need to select a template to customize or select the blank template to start your design from scratch. When you have found a template you like, click on the template and it will bring you into the online designer. 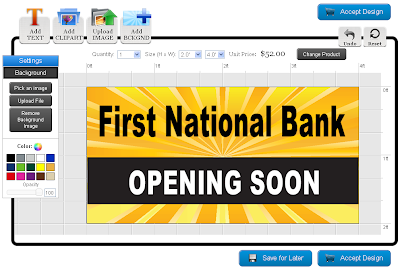 Once you are in the online designer, you can customize your window perf by adding photographs, clip art, backgrounds and text. Click here for more information on how to use the online designer. When you are done with your design, click on the "Save for Later" button if you want to keep working on other designs or click the "Accept Design" button to being the checkout process. Click here to design your window perf design.